The 1998 Canadian & World Encyclopedia. CD-ROM. 1997. "Development of Pre Born Children." http://www.lifecall.org/develo.asp. (10 Jan 2001). "Early Human Development". http://www.abortionbashing/earlyhum.com. (12 Jan 2001). "Jer 1:5 ". 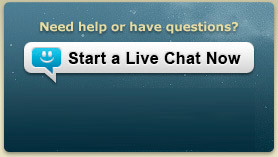 http://www.lifecall.org/ourfavo.asp. (10 Jan 2001). "Luke 1: 43-44". http://www.lifecall.org/ourfavo.asp. (10 Jan 2001). "Stats - Birth and Abortion". http://www.lifecall.org/stats.asp. (10 Jan 2001). "Ursala's story". http://www.lifecall.org/twowomen.asp. (10 Jan 2001). Terkel, Susan Neiburg. Abortion Facing The Issues. New York: Franklin Watts, 1988.